Hugh Hawkins wants to be a song writer and gets an audition with the BBC. At the audition he meets Margaret, younger sister of famous singer Kay Williams, who wants to be a performer too. 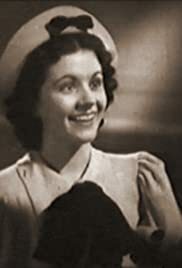 This film rather mirrored Hughie Green's personal situation when he made this film.He was a hit on the BBC and was touring the music halls with his group of child performers who were known as "Hughies Gang".Clearly the film is centred on him with most of the other performers marginalised when he is on screen.Margaret Lockwood would of course go on to become one of the leading film stars of the 1940s whilst Green would become one of the biggest TV stars of the 1950s and 60s.One assumes that the singing voices of both Lockwood and Green are dubbed.It has to be said that the facial tics and grimaces of Green are quite tiresome and it is a welcome relief to see some of the other talented youngsters perform.The climax is quite strange throwing in the burning of the Crystal palace for good measure.